We’ve already picked out some of our favourite travel bloggers from right here in New Zealand, Australia and the USA but we also look further afield for inspiration. After all, New Zealand welcomes visitors from all over the world and we love to read what our international visitors think about our beautiful country. We’ve picked out 21 of our favourite international travel bloggers and given you a brief insight into what you can expect if you follow their blogs and social media profiles. Every one of these travel bloggers has a different experience from their time in New Zealand and it’s awesome to read some of their stories – there are some absolute crackers! We first came across Marta through her amazing Instagram profile and soon started to follow her adventures on her blog. Marta is originally from Poland and describes herself as an outdoor and landscape photographer (which is why her Instagram profile is so awesome!). She has spent a lot of time travelling the world, but spent a lot of time right here in New Zealand as well as Australia and Canada. Whilst Marta is now based back in Europe, she publishes regular images from her world travels including New Zealand and her blogs from her time here in Aotearoa are still super helpful and stunning if you are planning a trip. Check out her New Zealand blogs and follow Marta on social. Sebastian is the Founder of Off the Path. Half Spanish and Half German, Sebastian grew up in Mallorca in Spain and got the travel bug back in 2011. It changed his life and he decided to turn his passion into a job and start his very own adventure travel blog. No serious adventure travel blogger can make that claim until they have visited New Zealand and Sebastian has some awesome posts from his time here in New Zealand back in 2016 and 2017. Sebastian is well travelled having called 10 countries home as well as travelling to more than 100. He is fluent in 5 languages and can hold conversations in even more. He is super-interesting so make sure you check out his New Zealand blogs and follow him on social media. Nikki Bigger is from Ontario, Canada. After trying her hand at a few different careers, she decided she wasn’t cut out for the 9-to-5 life and elected to take a more random path. She is currently working on her nomad career and her dream of travelling around North America in her van. Nikki is also a yoga instructor and photographer so she is working on three careers all at the same time! Nikki visited New Zealand at the end of 2017 and early 2018 and has written a series of insightful posts about her travels as well as sharing some of her amazing photography work. Her trip looked amazing so make sure you head over and check out some of the posts from her travels and get some great tips on places to visit and things to do. Tom and Anna are the authors and curators of the awesome Adventure in You travel blog. Originally from the UK, Anna and Tom met, perhaps unsurprisingly ,whilst they were both solo travelling around the world. Their travel blog is a bit different from many of the blogs we have come across. It’s more focussed on the planning side of your adventure and even has a ‘Travel University’ section which is all about teaching you how to turn your love of travel into a business where you can actually make money (bookmark their site today!). They also have super-helpful guide books, recommended gear and a community section. Check out their New Zealand posts and follow them on social. Like most great ideas (well, some at least), Hand Luggage Only was born in a dorm room at Cambridge University. Yaya and Lloyd were already sharing stories of their travels when they decided to pool their experience together and create a travel blog. Just a few short hours later, Hand Luggage Only was up and running! It’s only a short while ago that Yaya and Lloyd visited New Zealand. During their time here, they pulled together some awesome posts and Top Ten lists on things to do in various cities as well as where to go hiking, the best beaches and unique experience you will only find in New Zealand. Make sure you check out their New Zealand posts and follow the guys on social media. Lotte combines a full-time job in finance with a love of travel and is the author and curator of the fantastic Phenomenal Globe travel blog. She has travelled extensively around the world and is now back in her native Netherlands with husband and little boy D. She has visited over 40 countries including New Zealand during her travels. She has a passion for good coffee (which is why she must have loved New Zealand!) as well as the great outdoors. Lotte visited New Zealand in 2015 and has some pretty awesome posts covering everything from the top things to do to the most beautiful lakes (of which we have many) as well as a pretty cool 6-week itinerary around both islands. Make sure you check out Lotte’s posts and follow her on social media. Like so many of our favourite travel bloggers, Juno (Korean name is Jijeon) had a great job in Seoul working as a mechanical engineer. It was a tough decision to give that up, however the call of travelling proved too strong. After 6 years of travelling, Juno finally found a place she wanted to call home. It’s a while since Juno was last in New Zealand (come back soon!!) but she still has some awesome posts from her time here. Make sure you check out Juno’s New Zealand adventures and follow her on social media. Yosh and Vins are the brains behind The Poor Traveler blog. The story behind The Poor Traveler is a good one. Two friends who had never travelled anywhere decided to head off on a trip. It turned into a bit of a disaster and ended up leaving them nearly broke. They vowed not to let that happen again and set up The Poor Traveler to document their silly misadventures and provide tips so others wouldn’t make the same mistakes. Aileen is from the Philippines and at 21, she decided to quit her corporate job to follow her dreams of travelling the world and building her own business. Her blog focusses a lot on how to create this sort of lifestyle for yourself so if you have aspirations of becoming a full time traveller (or Digital Nomad as they like to call themselves), then make sure you check out her blog. Aileen visited New Zealand just last year and has a series of fantastic posts from her travels. 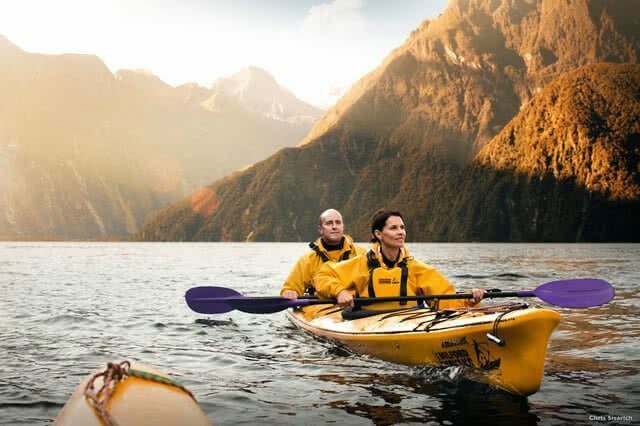 There are some great accommodation recommendations from some of New Zealand main tourist destinations as well as some great top twenty lists covering the best things to do in the North and South Islands. Check out Aileen’s New Zealand blogs and follow her on social media. Jenny’s awesome travel blog was recommended to us by one of our other awesome bloggers, Footprints and Memories. Jenny hales from Canada and unlike some of our travel bloggers, she believes in seeing the world slowly rather than trying to tick off as many countries as she can. Over the past 10 years, she has lived in South Korea, Scotland and Vietnam, providing a perfect base to explore different continents and regions. Jenny visited New Zealand back in 2016 and has some great posts, especially if you love walking with some great posts on some of our best walking tracks. Jenny has heaps of posts from her time in New Zealand so make sure you check them out and follow her on social media. When your about us page starts with “I’m basically a Hobbit raised by Leprechauns” then you know you’re in for some light-hearted blogging goodness. Tara is originally from New Zealand but was brought up in Ireland and currently calls Dublin home. She has always had a passion for travel from an early age and travels for the experiences rather than ticking countries off a list – she’s had some amazing experiences and they keep coming! Tara obviously has a love of the land of her birth and has some really awesome posts from her homeland including some great road trip itineraries and reviews of some of our best adventure activities. Make sure you check out Tara’s posts and follow her on social media. Yulia is originally from Russia and is the author and curator of Miss Tourist travel blog. She has been travelling for the past five years and has lived in the USA, Italy, France Thailand and Colombia (when are you going to add New Zealand to that list?!). Her blog is all about ‘smart’ travelling – saving money where you can and not having to pay for things you can experience for free – sounds good to us! Yulia was in New Zealand as recently as 2018 and has published some awesome blog posts on things to do here. She has some great road trip planning advice, posts on things to do in both the North and South Island and even some tips on renting cars. Make sure you check out Yulia’s New Zealand adventures and follow her on social media. Global Grasshopper is a collection of passionate travel writers and photographers from the UK who have come together to create an award-winning travel blog. The team of eight have worked with some of the world’s leading brands including Google, Pinterest, Lonely Planet, Expedia, British Airways, Queensland Tourist Board and many more. Whilst their approach is very business-driven, that doesn’t stop them from creating amazing content through their own blog. A quick skim through their posts from New Zealand reveals some pretty awesome posts and some truly amazing photography. They have a lot of Top Ten posts which are super helpful and the visuals on those posts are superb. Check out their New Zealand posts and follow them on social media. Another Canadian on our list of top international bloggers, Nora originally hales from Toronto and in 2006, decided to take the plunge and head off on an adventure of a lifetime. She has now been on the road since early 2007, visiting over 50 countries across 5 continents. Her backstory is one that is full of adventure, escapades and mishaps. Nora is truly living the travelling dream and her stories are inspiring and entertaining in equal measures (so much so her adventures led her to publish a book). Nora was last in New Zealand in 2011 but it remains one of her favourite places in the world. She spent a total of 9 cumulative months in New Zealand and loved every second of her time here. Make sure you check out Nora’s New Zealand blogs and follow her on social media. Wowser – these guys have got quite a story. As we read through all of our favourite travel blogger’s stories, we see a lot of similar patterns of people giving up a full-time career to hit the road travelling. Dalene and Pete’s story is full of personal tragedy, grief and thankfully some amazing adventures on the road. For eight years they lived on the road travelling far and wide and exploring the world. Unfortunately, another dark twist meant they were forced back to Canada as Dalene had contracted a rare strain of leukaemia which forced them off the road and a period of two years of hospitals and recovery. Thankfully Dalene is on the mend and they haven’t given up on their travel dreams and we hope to see them back in New Zealand one day. Until then, make sure you check out their awesome posts from their time in New Zealand including their 17 day road trip around the South Island all covered with some truly awesome photography. Solo Traveler is, as you might have guessed, a travel blog dedicated to helping those who have decided to travel alone around the world. Authored and curated by Janice Waugh and Tracey Nesbitt, it’s more than just a travel blog. It’s a community where people with a passion for travelling solo exchange tips, suggestions and encouragement. Travelling solo is a big decision and resources like this awesome blog can really help to put your mind at ease and take confidence in a community of thousands of others doing exactly the same thing. Their New Zealand posts are varied thanks to the support of the community with amazing photography coupled with advice for solo travellers visiting New Zealand. Make sure you check out their New Zealand blog posts and follow them on social media. Dave and Deb and the two ‘Ds’ behind The Planet D. Married for 20 years, it was back in 2008 when they got out of the rat race and hit the road to follow their true passion – travelling. After forging successful careers in the booming industry and working on blockbuster movies like X-Men, Chicago and The Incredible Hulk, they decided to enter the world’s longest cycle race, the Tour d’Afrique. This was the moment that changed their life and kickstarted their world travels and their travel blog. Since that breakthrough moment, Dave and Deb have travelled to 110 countries across all seven continents. They were named as one of the Top 10 Travel Influencers in the world by Forbes Magazine and have a huge reach through their blog and social media channels. Check out their New Zealand blogs and follow them on social. If you are thinking of backpacking around New Zealand, then you should definitely check out Neil’s blog. Neil is from the UK and is currently living the 9-5 lifestyle…it wasn’t always that way though. After finishing up at University, Neil headed off to explore the world, working in South Africa as a sports coach before hitting the backpack trail to Thailand, Australia, New Zealand and Fiji. He’s also travelled Europe by train, road-tripped around Ireland and got into some hairy situations along the way. Neil’s posts from New Zealand are a little old now (his last visit was back in 2011) but they still provide some awesome tips on things to do and places to visit. Make sure you check out Neil’s New Zealand posts and follow him on social media. Arianwen is a divemaster and adventure sports addict. She’s travelled solo through over 30 countries, been featured by Lonely Planet as a travel expert, and spreads the message of responsible tourism on her blog. Arianwen is passionate about solo travel and her posts reflect her passion and fears about travelling alone. Her blog covers the destinations she has travelled to in great depth with some super-helpful tips on things to do across all of the countries she has visited. She visited New Zealand in 2018 and has put together some awesome posts, including how to plan your itinerary, top day trips and more. Arianwen has visited beautiful Aotearoa on a number of occasions so make sure you check out her blogs and follow her on social media. Beverley is the author and curator of Pack Your Passport, an award-winning travel blog dedicated to solo city breaks. She is currently based in the beautiful county of Yorkshire in the North of England but has travelled and worked far and wide including plenty of time in Australia and New Zealand. After spending a few years on the road, Beverley moved back to the UK and now focusses on posts that cover solo city breaks. Some of her posts from New Zealand go back to her time living and working here in 2012 but there are also lots of up-to-date posts as she still looks back on her time in New Zealand with great fondness. Check out Beverley’s New Zealand posts and follow her on social media. The final travel blog in our list of top 21 International Travel Bloggers is another from the UK and is a great way to finish up our list. Victoria is a writer, editor and blogger. She has a passion for finding special places but home and abroad, from magical treehouses to otherworldly landscapes. Whilst she now calls Bristol home, Victoria lived a nomadic life for three years, travelling with her husband Steve around the world. They were always on the lookout for a place to settle down and after trying life in San Pancho, Ubud and Berlin, they ended back up where they started – London. Thankfully Victoria still finds plenty of time to travel and her latest posts from New Zealand are all from late 2018 so there are plenty of top tips, itineraries, amazing photography and tips on places to stay. Check out her New Zealand blogs and follow Victoria on social. So there you have it – 21 of the best international travel bloggers who have fallen in love with beautiful Aotearoa. There are of course hundreds if not thousands of travel bloggers across the world, many of whom have visited New Zealand. If you know of an awesome travel blogger we have missed (or you are an awesome travel blogger we have missed), drop us a line and we can make sure we check out your posts, give you a follow and hopefully get you added to our ever growing list!